Jennifer Wells: Blog Tour - Win a Kindle or Nook - Final Day! Blog Tour - Win a Kindle or Nook - Final Day! Welcome to the final day of the blog tour, our huge contest with tons of cool stuff you can win including a Kindle or Nook with a dozen CMP titles. If you're joining the games late, don't worry - you have until the end of today, May 26th, to finish all of the quests. Head over to the Crescent Moon Press blog for the complete 411. Once you've finished the quests on each of the 16 author's sites, check out Crescent Moon Press for your final question! Want to know if you've won? 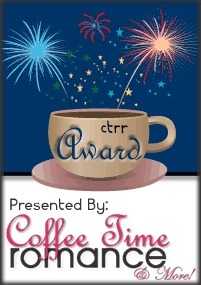 The CMP blog will list the winners by June 4th! To everyone who participated, shared the contest news with your friends, left comments, or followed my blog, I'd like to say a big THANK YOU! I've had a great time doing this and getting to chat with you, and I hope you did too. Please stop in to the blog next week when I'll be writing in from my vacation in New Orleans and posting pics and videos (goddess help me, my husband has a new video camera he's dying to try out!). Is it June 4th yet? SO EXCITING! Thank you so much!!! Hi Jennifer! Great blog :-) This has been such an awesome experience! Magick Charm is on my TBR list! Memorial Day Wekend Bash - Win an E-reader!